Remote, long-distance education works for some vocational learning, but hands-on training is the most effective way to learn RV service. There are many vocations that are effectively and efficiently taught and learned through long distance, mail order, home and/or online studies. The University of Phoenix Online has the largest online course selection in the world. Vocations such as accounting, business, information technology, education, and criminal justice are just a few. If these are the rewarding, fulfilling vocations your are seeking, please give UOPX a call at 800-366-9699, ext. 6915. Their online program may be the best in the world at this type of teaching/ learning. However, if RV technicians could be taught effectively and efficiently via long distance or online study, there would be an offering from the University of Phoenix Online. How do we know this? Our director’s daughter, Jennifer Santoro Griffin, is one of their admissions counselors. 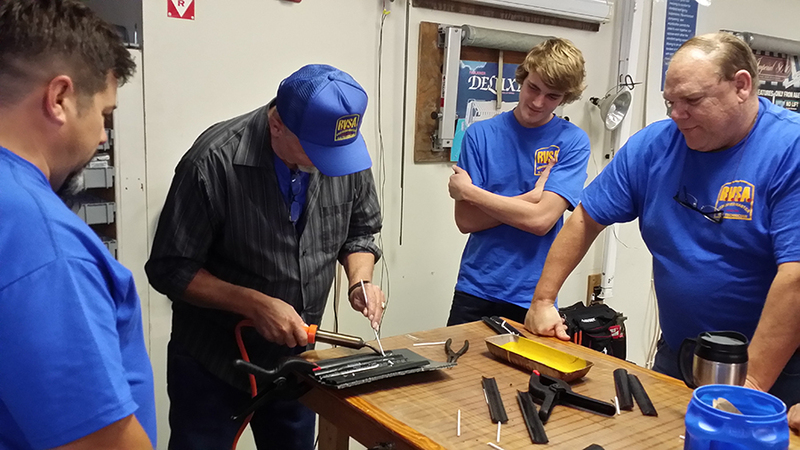 Hands-on training is an essential method of RV technician training. There are also many vocations that require a hands-on or kinesthetic approach to the learning process. How would you like to have surgery from a physician or have a root canal from a dentist who learned his/her practice from home study and never trained on a live person? Would you have your car worked on by a mechanic who never looked under the hood of a real one until he/she was assigned to work on yours? What about having your recreational vehicle repaired by a technician who has never actually seen an RV before he/she starts work on yours? 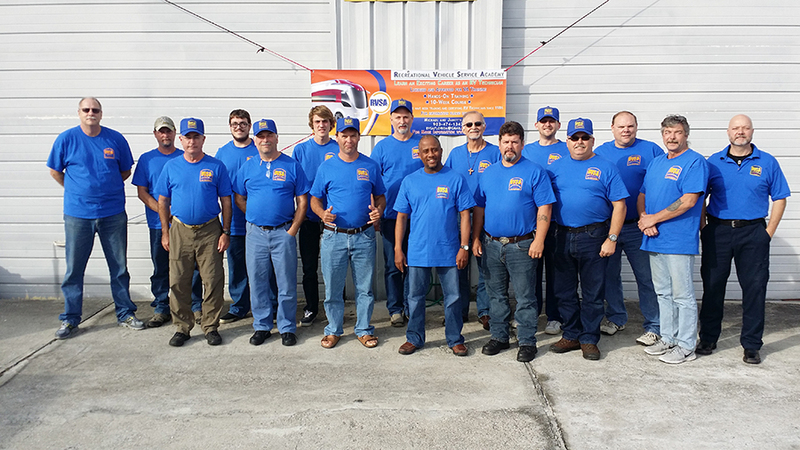 RV Technicians learn most efficiently and effectively through hands-on training, so that is what our RV technician school’s curriculum is based on. 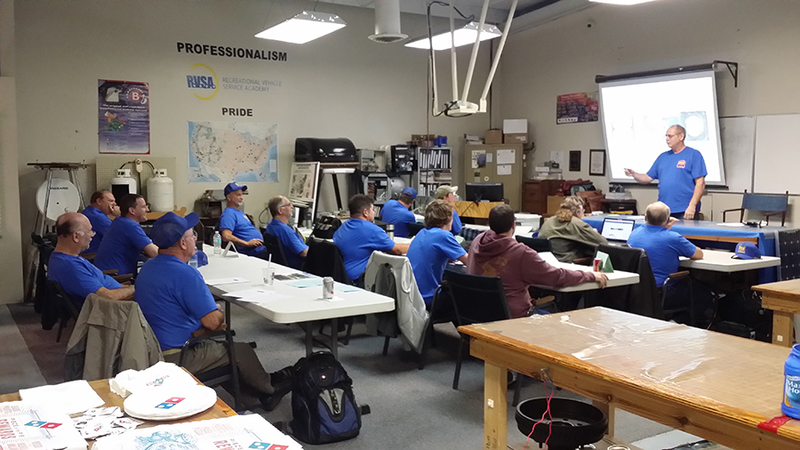 With the very generous support from nearly every manufacturer and supplier in the RV Industry, RVSA will continue to offer our quality hands-on training program for those of you who are genuinely interested in making this your chosen vocation.